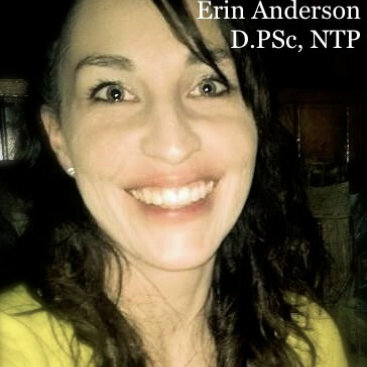 Erin Anderson, D.PSc, NTP is a Licensed Diplomat of Pastoral Science and Medicine* who works one on one with clients to support their whole health and wellness (spiritual, physical, and emotional). She is also a Nutritional Therapy Practitioner and has previously worked as a Weight loss Coach and a Certified Group Exercise Instructor. 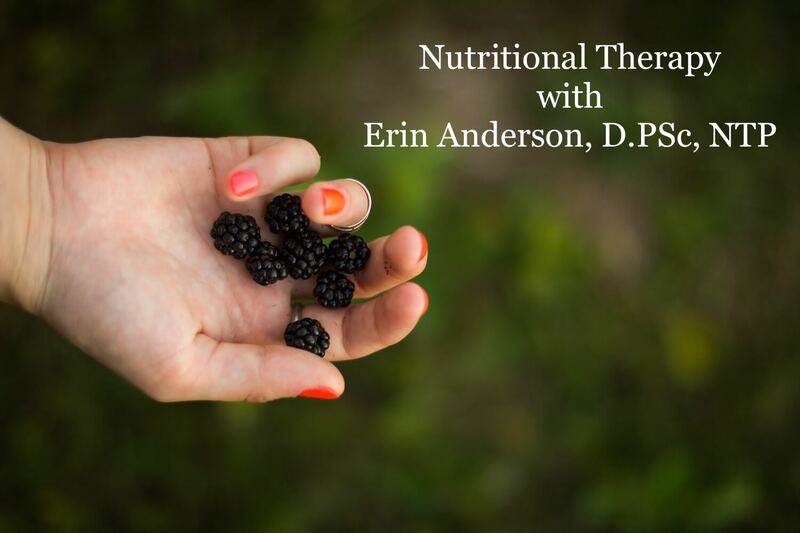 What is a Nutrition Therapy Practitioner? NTPs are trained in nutritional counseling from a holistic, whole food, nutrient dense diet perspective. The fundamental goal of Nutritional Therapy is to encourage people to become knowledgeable about—and responsible for—their own health. An NTP helps individuals reach their optimal level of overall health by supporting and bringing balance to the five foundations of digestion, blood sugar regulation, fatty acid balance, mineral balance and hydration. By supporting each of these foundations and helping clients adopt a more nutrient-dense diet, the body’s chemistry can be brought back into natural balance, setting the stage for optimal health. This is a free consult to discuss your main health concerns and find out what you would like to achieve through nutritional therapy. This 45 minute appointment includes an initial interview to better understand your unique health concerns. You will also go over a 3 day food journal and talk about strategies for reaching your short-term and long-term health and wellness goals. This 90 minute appointment is divided it into two parts. The first part (30 minutes) will be an initial interview to better understand your unique health concerns. You will also go over a 3 day food journal and talk about strategies for reaching your short-term and long-term health and wellness goals. 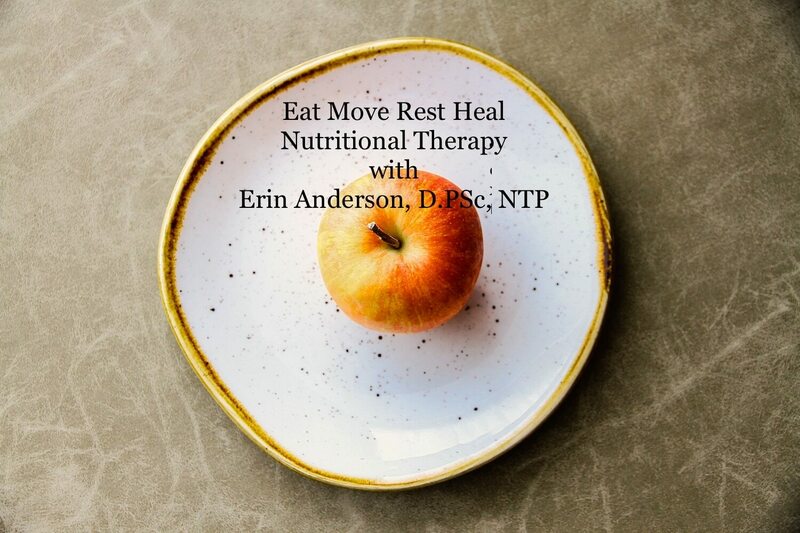 During the second part (60 minutes), Erin will conduct a non-invasive Functional Evaluation with Neuro-lingual testing to determine which particular nutrients your body may need support with. This package includes an initial 90 minute consultation appointment, with three 45 minute follow up appointments (monthly) and weekly email/ text support as needed. This package includes an initial 90 minute consultation appointment, five 45 minute follow up appointments, and weekly email/ text support as needed. *This healthcare practice is based on a ministerial license issued by the Pastoral Medical Association (PMA). PMA licensees do not practice medicine. More specifically, they do not examine, diagnose or treat, or offer to treat or cure or attempt to cure, any mental or physical disease, disorder or illness, or any physical deformity or injury. Also, PMA licensees do not recommend or prescribe any medications or pharmaceutical drugs.